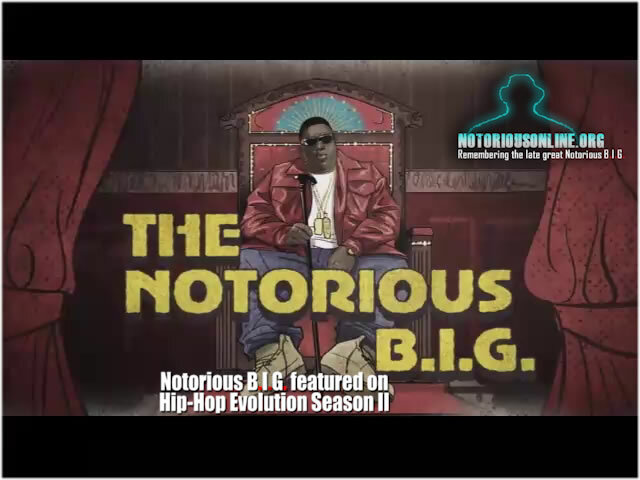 NotoriousOnline.org - Unofficial Notorious BIG website - Season 2 Of "Hip-Hop Evolution" Is Back On Netflix With Notorious B.I.G. The latest installment of Hip-Hop Evolution was published Today on Netflix. The 2nd season of the docuseries will examine the regionality of hip-hop in America, even though (funny enough) the docuseries is produced and narrated by a Canadian production team, the host being Canuck rapper Shad, who once hosted a nationally-syndicated talk radio show in his native country. The docuseries which debuted in 2016 went on to win a Peabody award; it was later screened at the Hot Docs International Documentary Festival, which inevitably saw it draw the interest of HBO, and now Netflix, for the second time running. Hip-Hop Evolution's new four-episode run will feature commentary from the likes of Puff Daddy, KRS-One, 2 Live Crew, and many more, beginning with a close inspection of the emergence of the "Dirty South" as a tour de force. The four episodes have a fairly straightforward focus. The final episode of the series entitled, "New York State of Mind" sheds light on the stories of NY heavyweights like Nas, The Wu-clann and the late great Notorious B.I.G.